of temperature, pressure and flow. 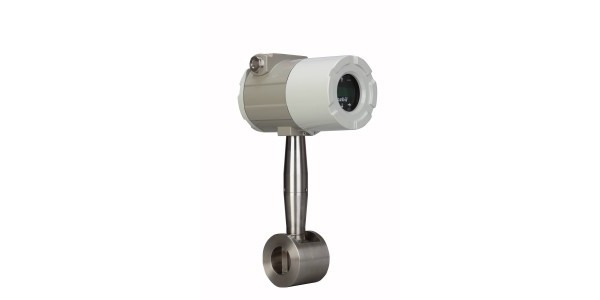 Flow measurement, the quantifying of a point passage rate for gasses and liquids, is used throughout process applications in power generation, chemical manufacturing, petrochemicals, pulp and paper, water and wastewater, bio-science, semiconductor and many other manufacturing processes. There are two measurements of fluid flow in use: volumetric and weight or mass. Flowmeters are used to measure the rate or quantity of fluid flow in an open or closed system. They are frequently found installed on piping systems, though there are also instruments capable of measuring liquid flow in open channels. The various measurement technologies have differing installation criteria, with some requiring placement of a sensing element in the flow path, others merely in contact with the flow medium, and still others with no media contact needed at all. Inferential Types: Such as variable area flowmeters (rotameters), target flow meters and turbine flow meters. Electrical Flow Meters: Such as electromagnetic flow meters, ultrasonic flowmeters and laser doppler anemometers. Mechanical Type: Such as orifice plates, venturi tubes, flow nozzles, pitot tubes, positive displacement meters and mass flow meters. Other: Such as vortex shedding flow meters, Coriolis, cross-correlation flowmeters, purge flow regulators, flow meters for solids flow measurement and flow switches. Flow measurement instruments can be integrated into existing fluid transfer systems or installed on new lines, either inline or via insertion. Inline flowmeters mount in the piping system using downstream and upstream connections. Immersion flowmeters use a probe or sensor penetrating the piping, positioning the sensor in the flow stream. For best results, it is important to heed manufacturer recommendations for installation. There are various flow characteristics that may have an adverse impact on measurement accuracy. Providing flow conditioning structures or maintaining minimum required straight runs on the upstream and downstream piping may be a requirement for some instruments. Each measurement technology will have installation recommendations and limitations. For proper selection criteria, you should always know the physical state of the process media (solid, liquid, gas, steam), the condition of the media (clean, dirty, viscous, corrosive, flammable), piping size and range of flow rate. The process pressure and temperature can have an impact, as well. Share your flow measurement challenges with a process measurement specialist and leverage your own knowledge and experience with their product application expertise to develop an effective solution.